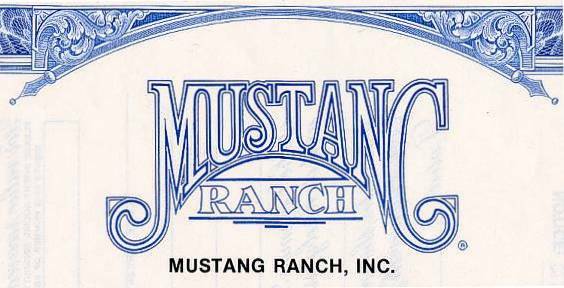 Beautiful RARE certificate from the Mustang Ranch, Inc. in 1990. This historic document was printed by the United States Banknote Company and has an ornate border around it with a vignette of the Company's name. This item has the printed signatures of the Company’s Chief Executive Officer, and Secretary, and is over 20 years old. The was the certificate designed for their failed IPO that couldn't rise to the occasion. This is only the second time we have had this certificate for sale and believe it to be quite RARE.